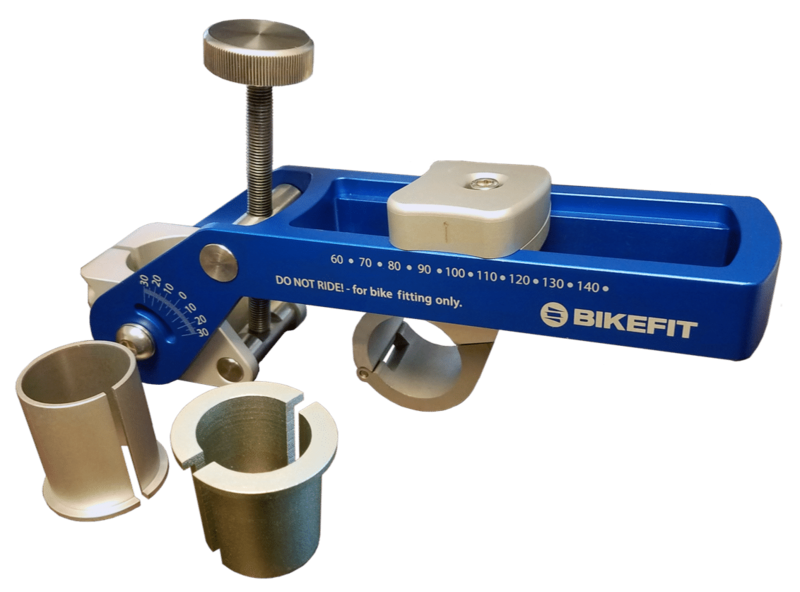 BikeFit News Bike Fitting Products, Tools and Solutions! 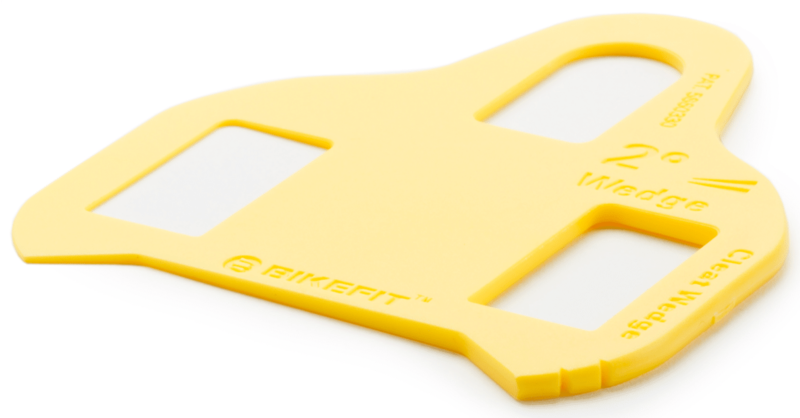 KIRKLAND, WASHINGON – November 7th, 2017 – BikeFit, the worldwide leader in bike fitting products, releases the all-new Stem Sizer. It delivers a simple, quick, and precise way to determine ideal bicycle cockpit position and optimize rider comfort and performance. 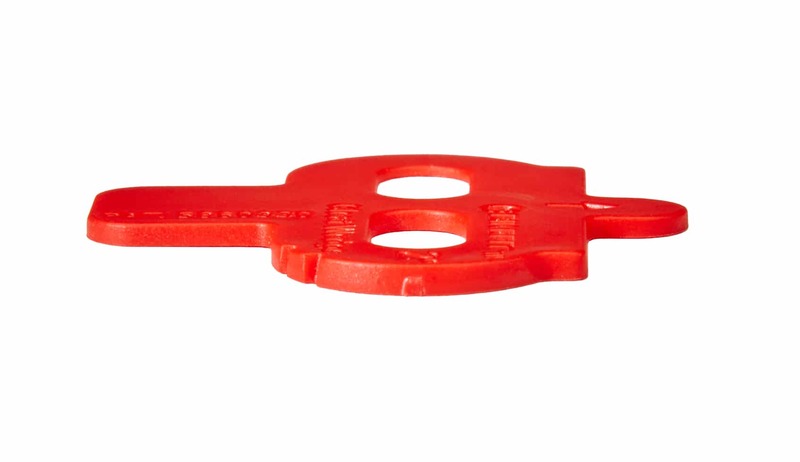 The Stem Sizer features a top-access, single bolt clamp for easy handlebar changes. Stem length adjustments are performed by a revolutionary push-button feature that allows the user to easily slide the handlebars to multiple lengths. It provides a superior stem length range adjustment from 60-145mm in 5mm increments and accommodates 1-1/4” and 1-1/8” threadless fork steerer tubes via the provided attachments. The Sizing Stem also showcases smooth stem angle adjustments within +/- 30 degrees and is compatible with the majority of handlebar sizes including 31.8mm. 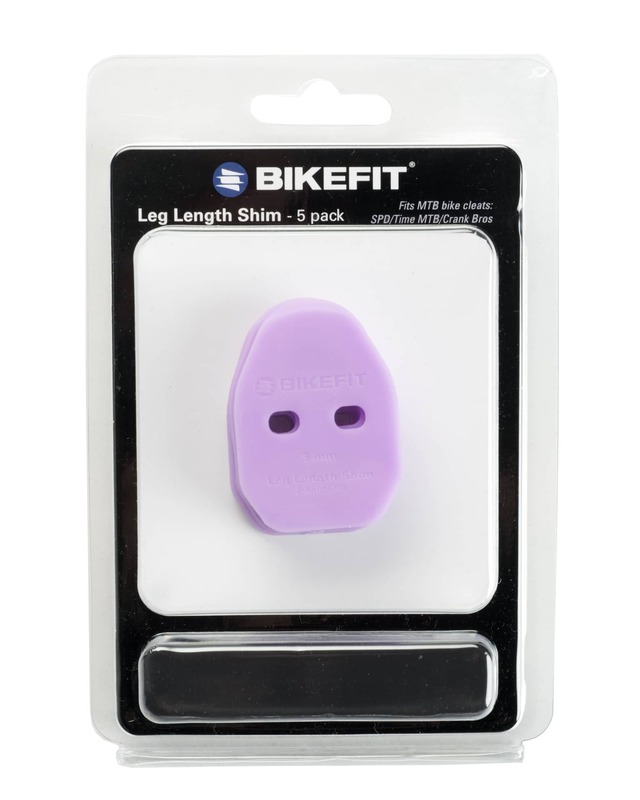 BikeFit also reports that it is fully functional without interference on uncut fork steerer tubes, when used on new bike builds. 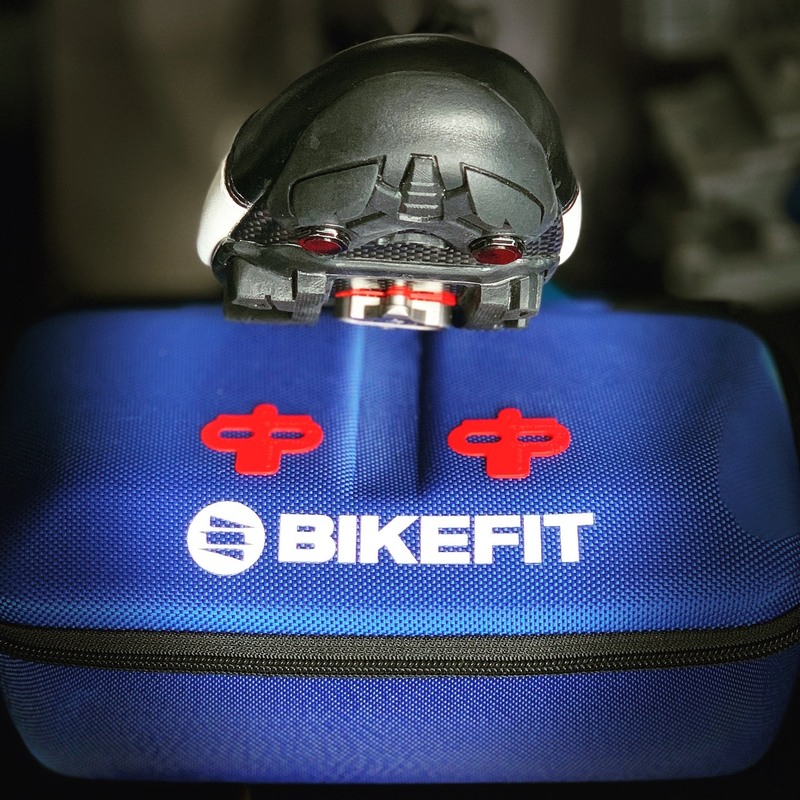 The complete kit includes a custom BikeFit carry case. 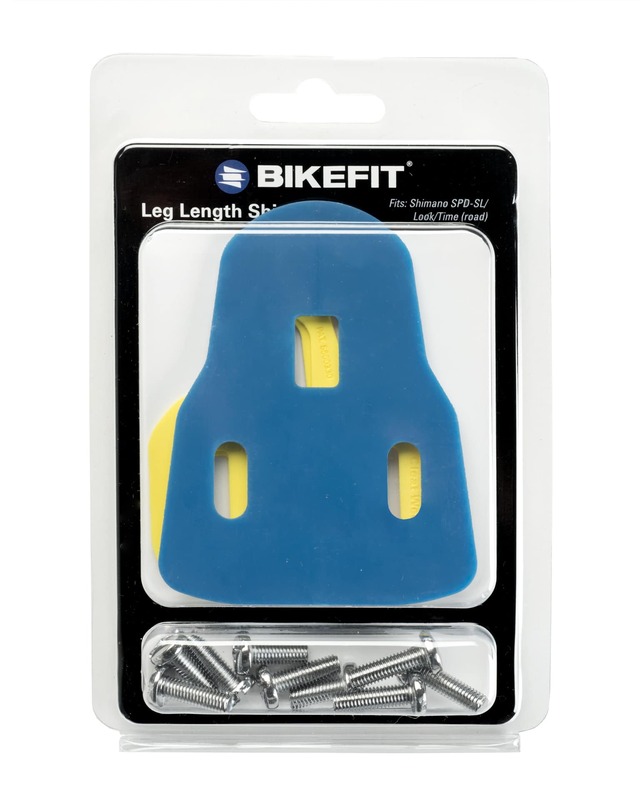 It is the perfect tool for fitters, clinicians, bike shops and cyclists with a “have-it-all” shop in their garage. 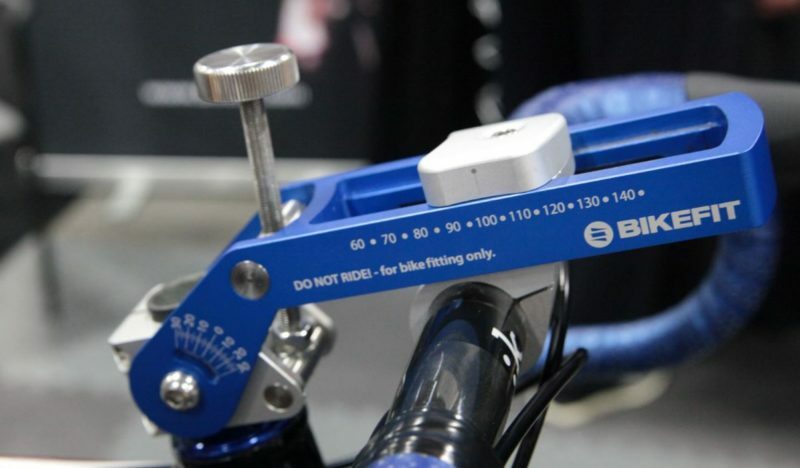 The BikeFit Stem Sizer retails for $249.99. 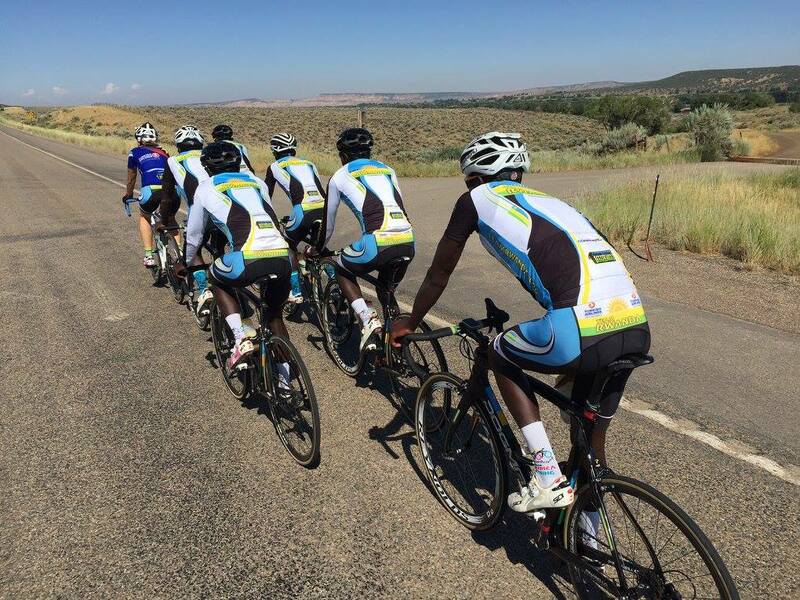 Team Rwanda recently competed in the Cascade Cycling Classic and we were honored to connect with their dynamic and influential Coach, Sterling Magnell, while the team visited the U.S to discuss the rise of Team Rwanda and how BikeFit powers them. BikeFit: Tell a little bit about yourself and Team Rwanda. Sterling Magnell: I coach the National Cycling Team of Rwanda. We strive to cultivate our young riders into the best ambassadors and sports men and women they can be. Ultimately, turning professional and riding in the international peloton. BF: What is your main goal with the team and where are you in your process of reaching it? SM: My ultimate goal is to replicate myself in terms of knowledgeable coaches and directors that can grow the sport on every level, understand, train and look after the athletes from juniors to young riders navigating their first years on pro teams. I’m making good progress. I have coaches that are able to do many of the things I normally do, so I’m at the point where I can delegate. We still have a long way to go when it comes to understanding international nuances and the finer sciences of cycling and training. Bike fit is a big component. BF: How is the team doing this year? What are your goals for the rest of 2017 and 2018? SM: The team has had a ground breaking year. We medaled in the TTT at the African Continental Championships. That was a first for us! Rwanda will host in 2018; our goal there is to take gold. We also finished 2nd overall in GC at the tour of Eritrea. No small feat and our best showing ever. That result reflected our riders beginning to understand how to use their strengths tactically and a willingness to follow instruction. BF: You mentioned bike fit before as a big component in the science of cycling and training. How does BikeFit help the team? SM: BikeFit is at the core of every single bike fit I do. So every single rider on the national team, juniors, women, and men has been in my shop. 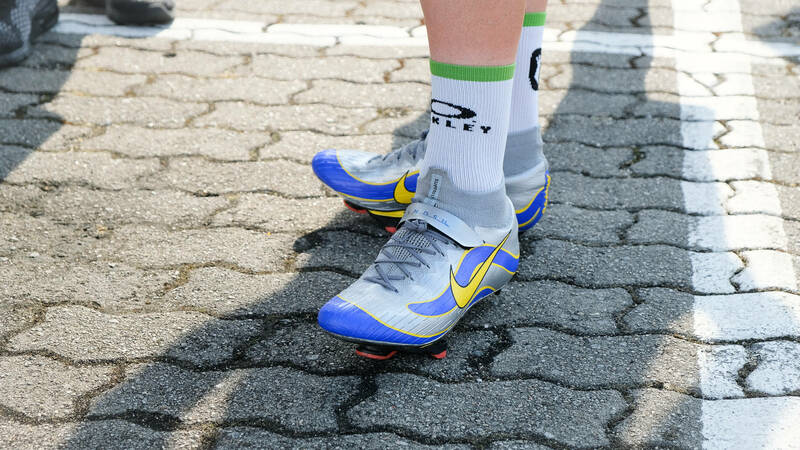 We ride Sidi shoes with LOOK pedals, so everybody gets a proper fit and I keep their numbers and notes on file. Some riders just benefit from a proper fitting bike. But more than a few riders have overcome strange or serious biomechanics to go from good to serious contenders. BF: In your opinion, how does bike fitting affect performance? SM: My belief is that in terms of physicality, mechanics, and power, it’s absolutely foundational. Going from bad mechanics to properly compensated balanced mechanics can add up to 5% to an already elite rider’s top end. For a new athlete working from the ground up, the difference is more or less immeasurable. BF: What do you think of our wedges? 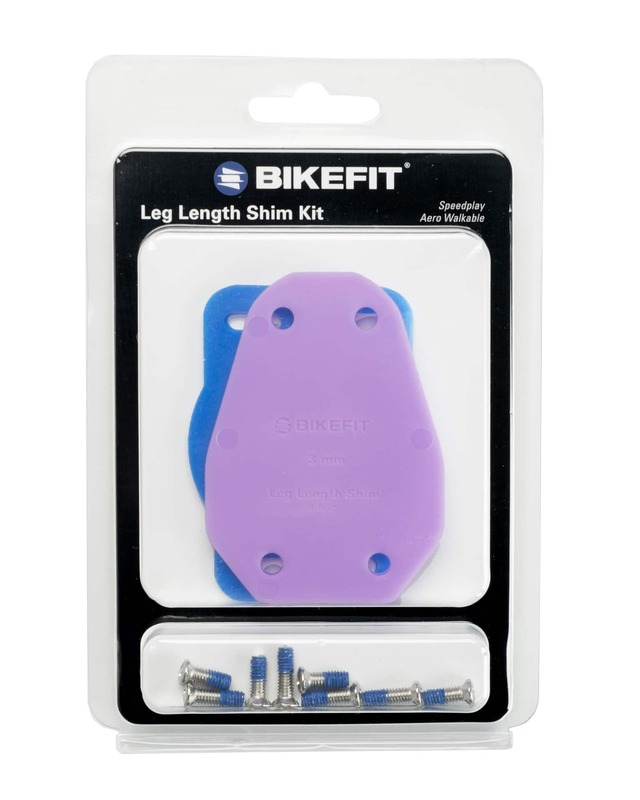 SM: So far I’ve found everything I need in the products that BikeFit currently ships. The wedges allow for every augmentation I’ve needed to make. 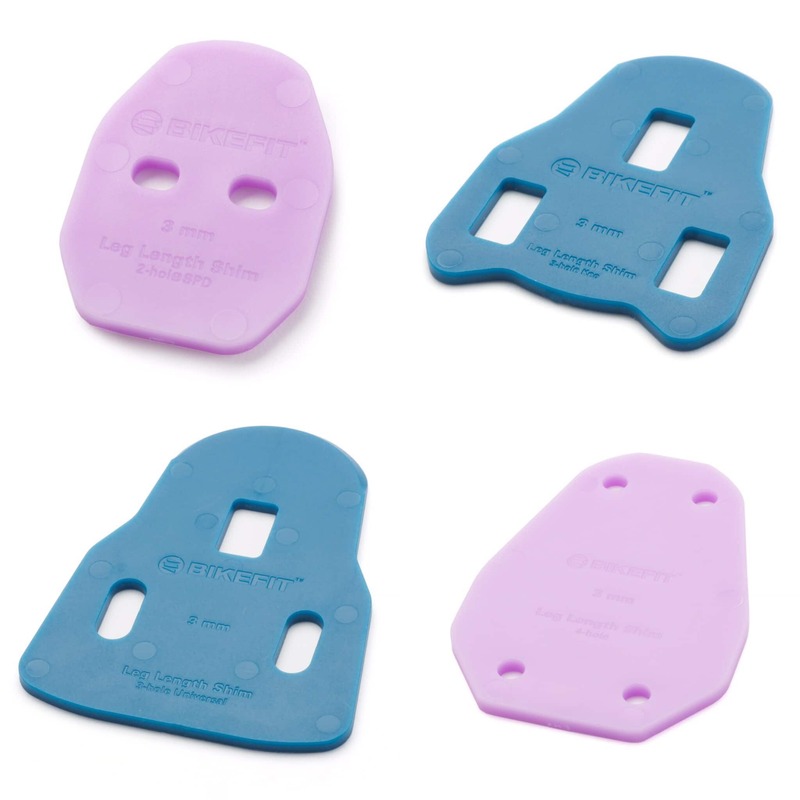 I especially like the ability to custom build small changes to insoles to relieve pressure points. Many riders are coming from a village life where they grow up typically wearing sandals and their feet have a few nuances or maybe injuries that when accounted for, really increases the comfort of that kid as a professional athlete. The wedges also allow for the body to line up with the machine. Riding a bike isn’t a natural action to perform physically, at least not strictly speaking. The body is a series of levers, all of our muscles pull not push. So when the body is locked into a fixed machine, allowing the body to be fixed to that machine in a way that the natural movement of those levers following smooth, straight, efficient pathways is essential. On top of that, when you take into consideration that a week of training for a professional bike racer includes upwards of 100,000 pedals strokes. Even a small imbalance, repeated that many times makes a huge difference. BF: Can you tell me a story about how some of the bike fitting changes impacted an individual rider? SM: My favorite story to date is Joseph Areruya. His heels were hitting the cranks and his left knee would shoot over the top tube when we first started working together. He’s a super powerful rider that is time trialing and climbing often well in excess of 400 watts. He has an unusual physiology for cycling with wide frame and stance, so he needed a few more wedges than your average rider. But once he got his foundation built up and he wasn’t losing power, he’s been able to forge ahead. He just recently won stage 4 of the Baby Giro d’Italia. The first UCI Europe win for a Rwandese rider. 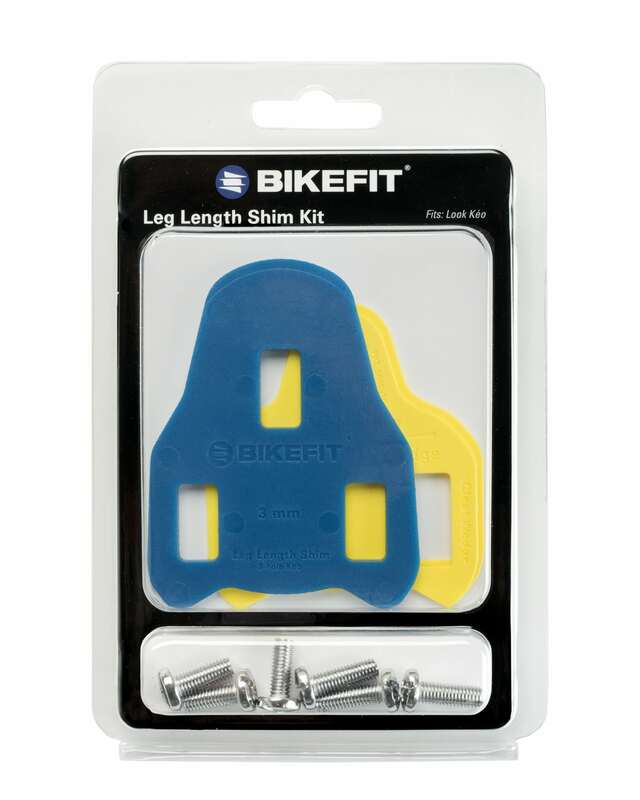 BikeFit provides Team Rwanda with tools and products for bike fitting. 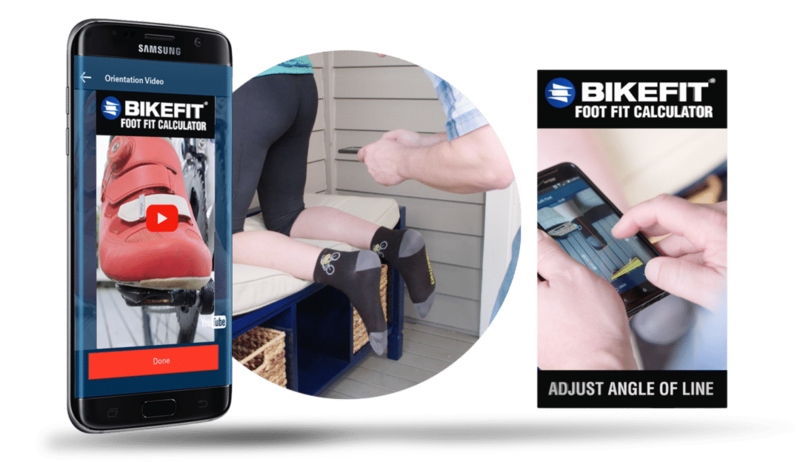 KIRKLAND, WASHINGON – June 7th, 2017 – BikeFit, the worldwide leader in bike fitting products, announced the launch of their free mobile app for Android devices. 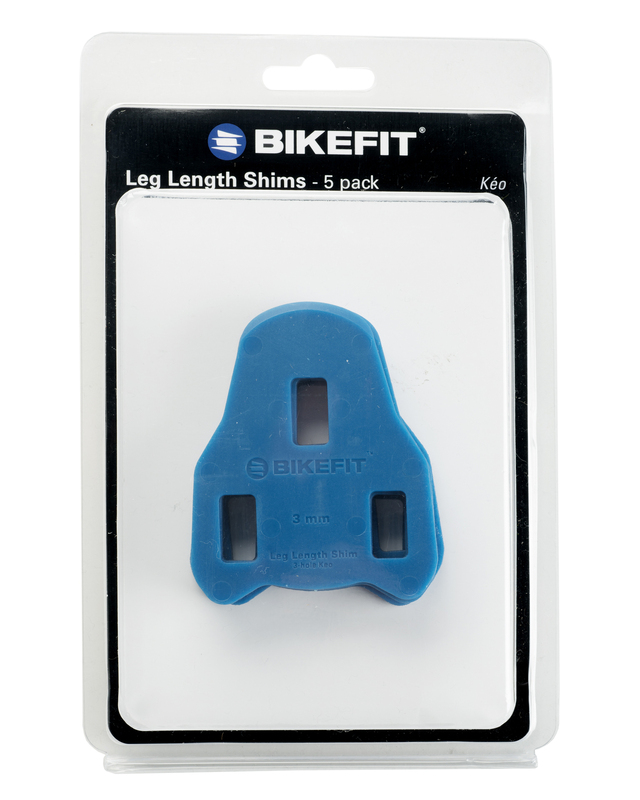 For the past 20 years, BikeFit’s knowledge and products increased comfort, power, and efficiency for countless cyclists. 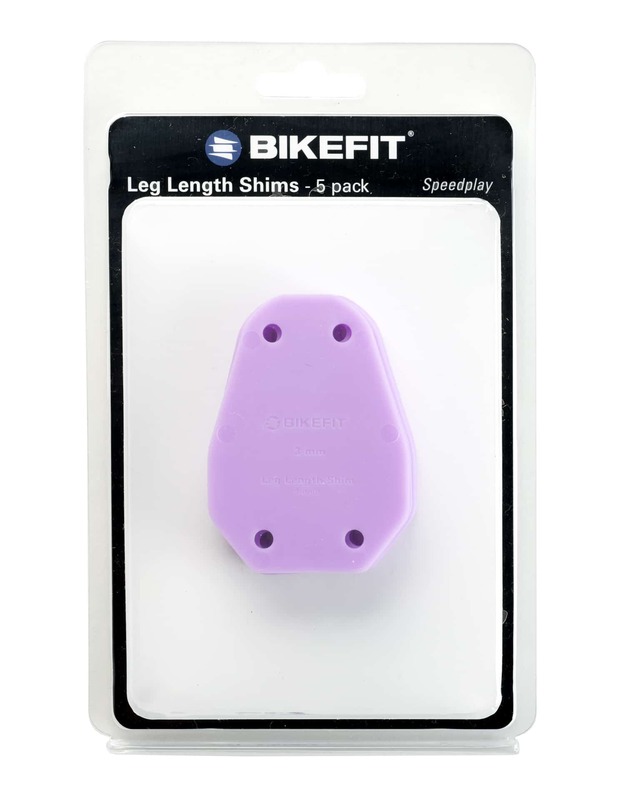 Now, with the release of the Foot Fit Calculator, cyclists can customize the fit of their bicycle shoes to their pedals. The application walks users through the process of figuring out the ideal pedal-to-foot connection angle and then recommends a solution to optimize foot fit. Users will need a friend to help take the pictures and the application will do the rest! Through an easy and simple procedure, the app guides users through measuring foot tilt. The interface aids the user into position, kneeling comfortably a couch or chair away from the person measuring their feet (with their knees slightly apart and legs hanging over the chair or bench). 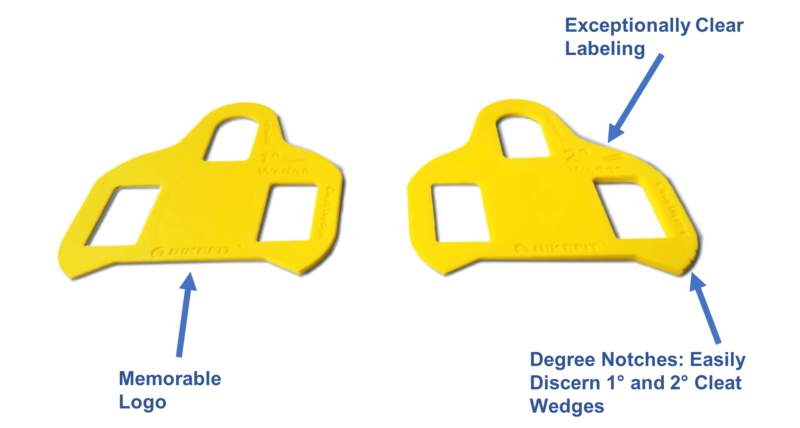 Next, the user only needs to have a friend take a quick picture, position the red line as explained in the directions, and then they are provided with the recommended number of Cleat Wedges needed to customize the fit of their foot. 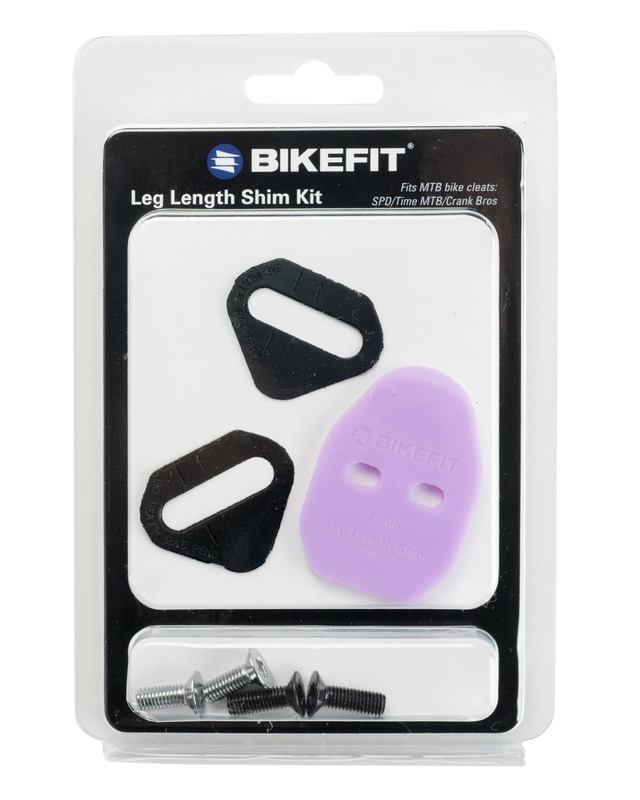 Cleat Wedges® enable the cycling shoe to connect with the pedal naturally, by acknowledging the foot’s inherent angle. 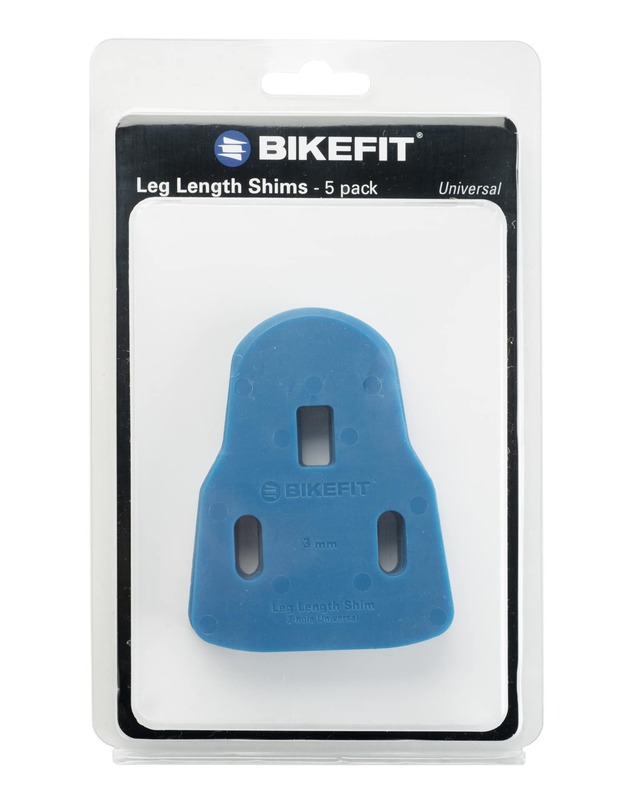 This creates a neutral foot position throughout the pedaling cycle, resulting in greater comfort, efficiency, and power. Please visit Foot Fit Calculator App web page for more videos and screenshots. New Heel Wedges–Better Material, Better Fit. Finally! We heard your concerns about our In-The-Shoe(ITS) Heel Wedges slipping and received the pictures of them electrical taped or duct-taped to the insoles of cycling shoes. 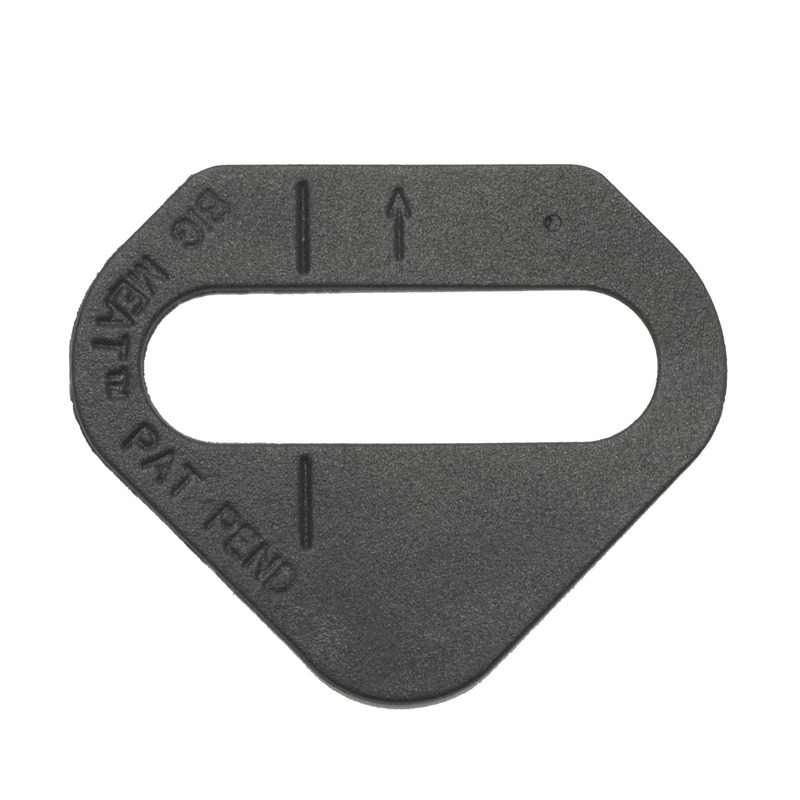 Consequently, we’ve changed the formula to improve grip between the Heel Wedge pieces. Easier to install and remove, and they remain in place in the shoe. Stackable in 2, 3 or 4-degree increments. Great for that “in-between” foot tilt solution (when you are not sure if you need 2 or 3 wedges). Other heel wedges create volume in the shoe, which in turn, affects your fit. The last thing you want is to attempt to correct for a problem and create another one. Our heel wedges naturally offset the heel tilt and allow you to stack the wedges in order to find the perfect fit. 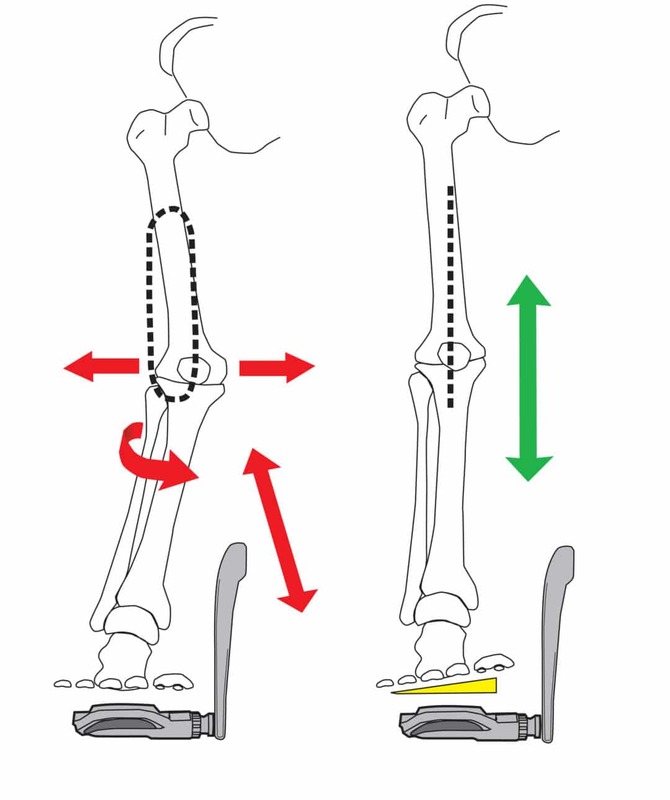 Your heel or calcaneus is curved. 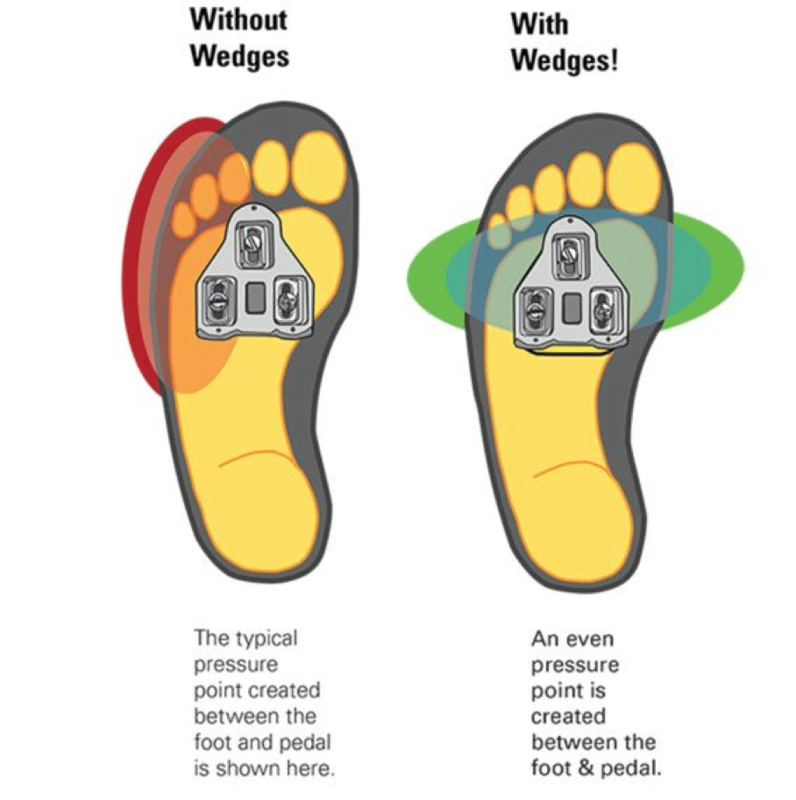 You may need a second ITS-F Wedge but it could increase shoe volume. You feel pressure under your 1st metatarsal or bone behind the big toe. BikeFit, the worldwide leader in bicycle fitting products, now offers BikeFit Pro education exclusively through CyclePoint. Although closely tied with Cycle Point, BikeFit no longer provides educational training to become a bike fitter. 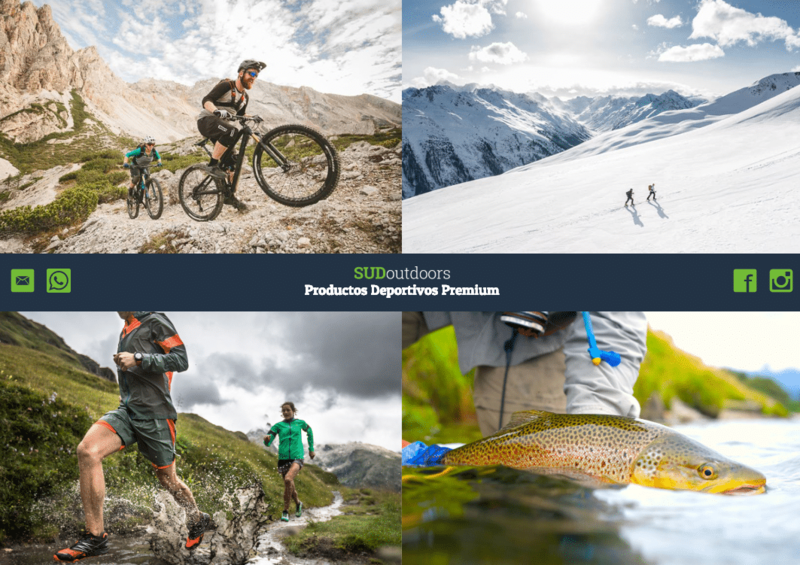 We now focus exclusively on providing products and knowledge to increase riding comfort, efficiency, and power. 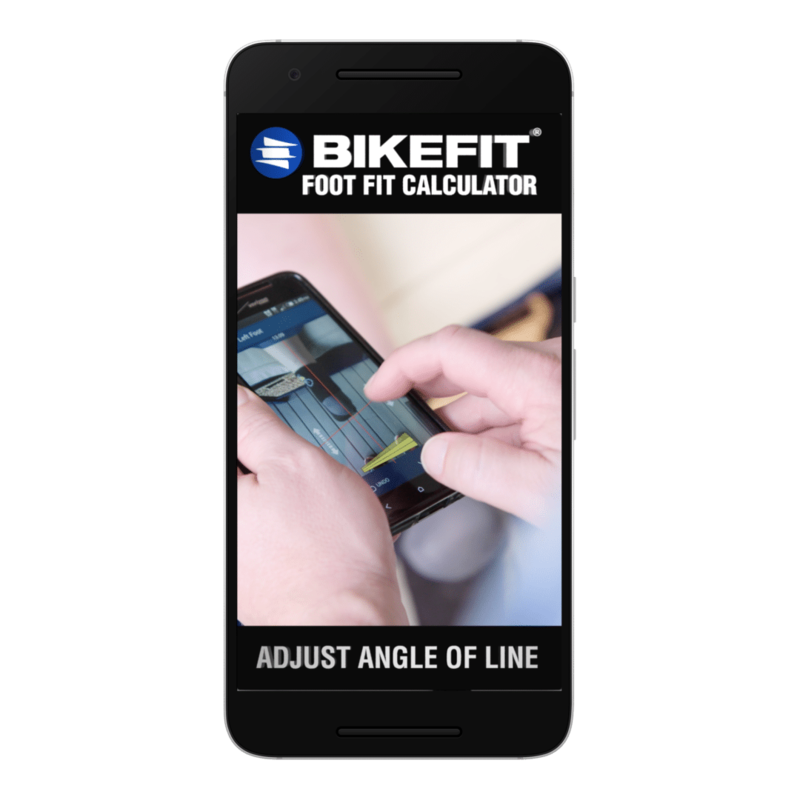 In addition to our amazing line of bike fitting products, we recently developed a Walkable Screw Kit, updates and changes to our iPad/iPhone Fitter App, and the free Foot Fit Calculator Android app. The new app will help cyclists identify foot tilt, decipher the number of wedges they may need, and allow the to directly purchases the wedges they need or connect them to local BikeFit Pros and dealers. Paul Swift, founder and CEO of CyclePoint, created the company prior to BikeFit, but it primarily functioned as a product design company. 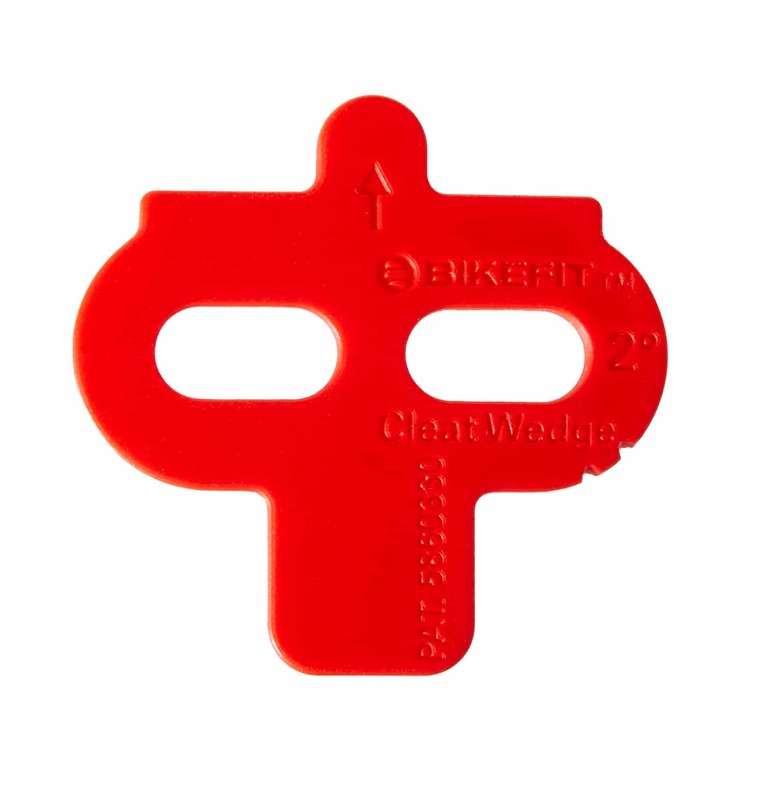 Many of those designs include BikeFit products. CyclePoint now organizes, conducts, and operates all BikeFit Pro training. Recent and upcoming training includes California, Georgia, Washington, Oregon, Texas, and Canada! If you would like to find out more, visit the CyclePoint website. We are excited for what these changes mean for the future of BikeFit and CyclePoint! With our companies combined, we can do more for numerous cyclists! Our goals are similar: aid cyclists in reducing pain, increasing power and efficiency, and in turn, make cycling more enjoyable. We hope you look forward to the future of bike fitting!